This is my monthly summary of my Debian related activities. If you’re among the people who made a donation to support my work, then you can learn how I spent your money. Otherwise it’s just an interesting status update on my various projects. 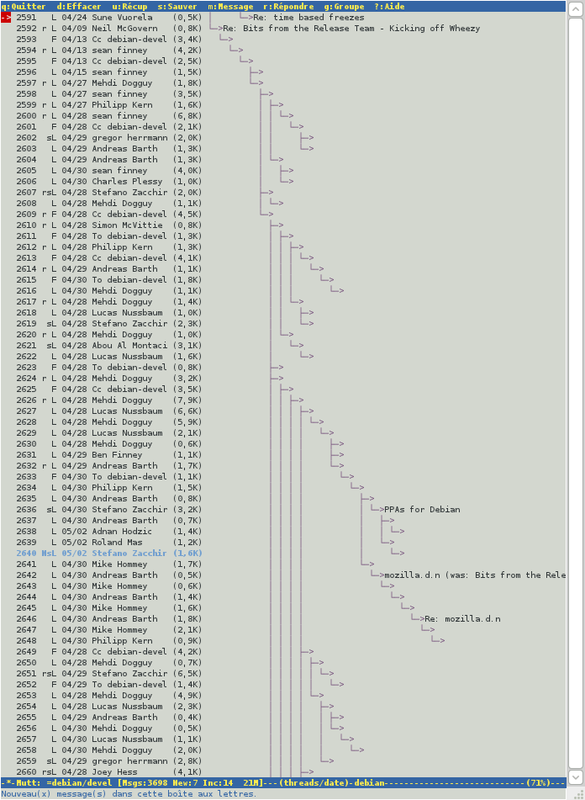 At the start of the month, the discussions about Debian rolling were still very active on debian-devel. Declaring that testing would be rolling did not make it (as I hoped), the argument that some RC bugs last for far too long in that distribution carried the discussion and thus the most consensual proposition ended up being the one of Josselin Mouette were rolling would be testing plus a few selected cherry-picked packages from unstable. I believe it’s a workable solution if we only care about a subset of architectures. Otherwise the same reasons that keep the fixed packages out of testing would probably also apply for rolling. Given this, I did setup britney (the software that controls testing) on my laptop to investigate how we can create rolling. It turns out britney is a very specialized software with very few configuration knobs. At the same time Joachim Breitner made a proposition that immediately grabbed my attention. He suggests to use SAT solvers to find out the set of packages that should migrate from unstable to testing. I thought that rolling would be a good testbed for this new implementation of britney (which he calls SAT-britney) so I jumped right in this project. I was not at all familiar with this science field, so I looked up quite some documentation: I learned that all SAT solvers expect the problem to be presented in CNF form, and that DIMACS was the file format of choice to represent those boolean constraints. Several SAT solvers are available in Debian and picosat appears to be one of the best. Then I started some early coding/prototyping to play with the concept. 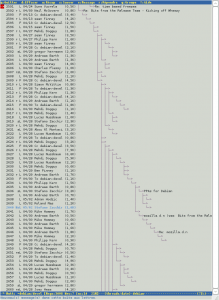 You can find the result in this git repository, you can grab a copy with git clone git://git.debian.org/~hertzog/sat-britney.git. There’s not much yet, except some Python code to generate a SAT problem that can be fed to a SAT solver. But I really look forward to this project. During the second week, I spent 3 days in Paris to help manage the Debian booth at Solutions Linux. 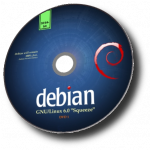 We have responded to lots of queries but most visitors already knew Debian, and many of them use it at work and/or at home. We tried to recruit those people as new members for Debian France, the local association. We also sold all our remaining goodies. The Ubuntu people were interviewed by France 3 (an important TV channel) and we took this opportunity (with the consent of the Ubuntu guys) to show our Debian t-shirts in the background: you can watch the video here (in French), you can see me with Carl Chenet at 1:21. The third week was a vacation week, in theory I should have stayed away from my computer but I really wanted to take this opportunity to improve the state of dpkg triggers in Debian. I already covered my work in another article: Trying to make dpkg triggers more useful and less painful. The result is not merged yet, I just asked a question to all package maintainers who are using triggers to be able to decide whether I’ll merge it as is, or if I can make the new behavior the default one. When I came back from my vacation, many services provided by Alioth.debian.org were non-functional after a migration to a new setup that involves two machines instead of one. Given that I used to be an Alioth admin, I know that in those periods you tend to be get bogged down on many user support requests. So I re-joined #alioth on IRC and tried to help a bit. I did investigate some of the reported problems and prepared fixes (updated scripts, configuration files, etc.) for some of the issues. I also created a list of remaining issues that should have lasted only a few days but that’s still active because there are still regressions left. access to the Ultimate Debian Database. Many tools rely on this database to work. anonymous FTP access to download project files. clear guidelines on how we’re supposed to deal with websites that are updated by VCS hooks. I have made some proposals to change the way the new source format would work. The goals are to be less painful for packagers who are using a VCS, and to avoid unexpected changes slipping through a new patch generated by dpkg-source. It seems that the proposals are relatively consensual so I’ll implement them at some point. I did a lots of stuff for Debian between travel and vacation, and in the remaining time, I did not manage to write many articles for my blog. In fact, besides the article on my triggers work mentioned above I only published one interview: People behind Debian: Steve Langasek, release wizard. I’ll try to do better this month! Many thanks to the people who gave me 151.61 € in May. This is my monthly summary of my Debian related activities. If you’re among the people who support my work, then you can learn how I spent your money. Otherwise it’s just an interesting status update on my various projects. Right after the GNOME 3 release, I was eager to try it out so I helped the pkg-gnome team to update some of the packages. I did some uploads of totem, totem-pl-parser, gvfs, mutter, gnome-shell, gnome-screensaver. I also kept people informed via my blog and prepared a pinning file for adventurous users who wanted to try it out from experimental (like me). One month later, I’m still using GNOME 3. There are rough edges still, but not so many. And I’m starting to get used to it. Debian Rolling is a project on my TODO list for quite some time. I decided it was time to do something about it and started a series of articles to help clarify my ideas while getting some early feedback. My goal was to prepare a somewhat polished proposal before posting it to a Debian mailing list. At this point it’s a discussion thread of several hundreds of messages (there are several screens of messages like the one above). Many of the sub-threads have been interesting, but the general discussions mixed too many different things so that there’s no clear outcome yet. Lucas Nussbaum tried to make a summary. Obviously I must adjust my plan, there’s lots of feedback to process. I accepted to drive a DEP together with Sean Finney to help structure the part of the discussion that focuses on allowing development to continue during freezes. But I’m also eager to fix the marketing problem of testing and have the project recognize that testing is a product in itself and that end-users should be encouraged to use it. The Package Tracking System is an important tool for Debian developers, and it has been broken by some change on the Bug Tracking System. I worked around it quite quickly so that few people noticed the problem but Cron kept reminding me that I had to properly fix it. I ended up doing it last week-end. While working on the PTS, I took the opportunity to merge a patch from Jan Dittberner to enhance the news RSS feed that the PTS provides. And I also integrated information from backports.debian.org (thanks to Mehdi Dogguy for reminding me #549115). I’ve been running this code for more than 2 months and it works fine. I want to see it merged. I’m ready to update my code should anything need to be changed to please Guillem. But without any feedback we’re in a deadlock. While fixing a bug in update-alternatives (found in one of the valid reports on launchpad), I noticed that there was room for improvements in the error messages output by update-alternatives. I changed them to reuse the same strings that were already used in other parts of dpkg. The result is that there are a few strings less to translate (always a nice thing for the poor translators who have to deal with the thousands of strings that dpkg contains). I also tried to fix some of the most cryptic error messages in dpkg (see #621763) but that work is stalled at the request of Guillem. 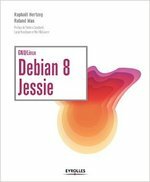 We (me and Roland Mas) are almost done with the update of our French book for Debian Squeeze. It will hit the shelves in July or September. I’m starting to prepare the fundraising campaign to make an English translation of it. We’ll use ulule.com for this. I have been pleased to interview Meike Reichle, it’s the first women that I have interviewed in the series but it’s certainly not the last one. I also interviewed Adam D. Barratt, one of our tireless release managers. Many thanks to the people who gave me 180.35 € in March and 235.37 € in April. That represents 1.5 and 2 days of work for those months. I have spent many days implementing and refining dpkg’s Multi-Arch support with Guillem Jover (dpkg co-maintainer) and Steve Langasek (beta-tester of my code ;-)). Early testers can try what’s in my latest pu/multiarch/snapshot/* branch in my personal git repository. I’m always exploring new options to fund my Debian work (besides direct donations) and this month—with the Debian Squeeze release—I saw an opportunity in selling Debian DVD. Nobody provides DVD with included firmwares and quite a few people would like to avoid the SpaceFun theme. So I built unofficial Debian DVDs that integrate firmware and that install a system with the old theme (MoreBlue Orbit). Click here to learn more about my unofficial DVDs. In my “People behind Debian” series, I interviewed Mike Hommey (Iceweasel maintainer) and Maximiliam Attems (member of the kernel team). For contributors, I wrote two articles: the first gives a set of (suggested) best practices for sponsoring Debian packages and adapted my article as a patch for the Developers Reference. In the second article, I shared some personal advice for people who are considering participating on Debian mailing list: 7 mistakes to avoid when participating to Debian mailing lists. Click here to subscribe to my free newsletter and get my monthly analysis on what’s going on in Debian and Ubuntu. 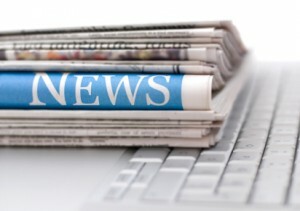 Or just follow along via the RSS feed, Identi.ca, Twitter or Facebook.